Pepperspectives: Highspot: Why We Invested? I am thrilled to announce that Shasta Ventures is partnering with our friends at Salesforce Ventures to invest in Highspot, the sales enablement leader. For the past 15 years, I’ve invested in companies poised to become leaders in SaaS. Simply put, my investment strategy is to back world-class product teams building breakout companies in rapidly emerging categories. Over the past few years, we have been lucky to invest in category-leading SaaS companies such as Marketo, Anaplan, Zuora, Apptio, Glint, Spredfast and many others. Through their great products, go-to-market execution and high-performing teams, these companies each rose to become a leader in their respective markets. When it comes to evaluating markets, we start by asking: Why Now? We look for markets where two factors intersect: 1) increasing demand for a solution that addresses a critical pain point and 2) the technological advances necessary to make a never-before-possible solution available and affordable. In these types of markets, there is a rising tide that floats all boats. (More background on these “Why Now?” markets can be found here). Even though Sales Enablement software has existed for years, salespeople continue to struggle to find the right content at the right time. According to Sirius Decisions, sales reps at enterprise-level organizations use just 35% of marketing content, yet spend roughly 30 hours a month searching for and creating sales materials. That’s an hour and a half out of their workday — time that could be spent selling. Solving this problem efficiently became possible only with the emergence and adoption of AI and Machine Learning. These technologies can analyze vast amounts of content and data, organize it based on user behavior and effectiveness, and tailor content recommendations for each unique situation. Highspot has leveraged these new technologies to build its product that serves exactly the right content at the right moment to power salespeople and make them effective. In addition, Highspot’s product is easy-to-use and intuitive for salespeople. In over 15 years of diligence on SaaS companies, I have made hundreds of customer calls. Our Highspot calls were among the very best in terms of customer love and passion for a product. Part of this is due to pent up demand for a solution after years of failed attempts with competitive sales enablement products. But, importantly, Highspot enjoys an adoption rate of over 80% by salespeople. 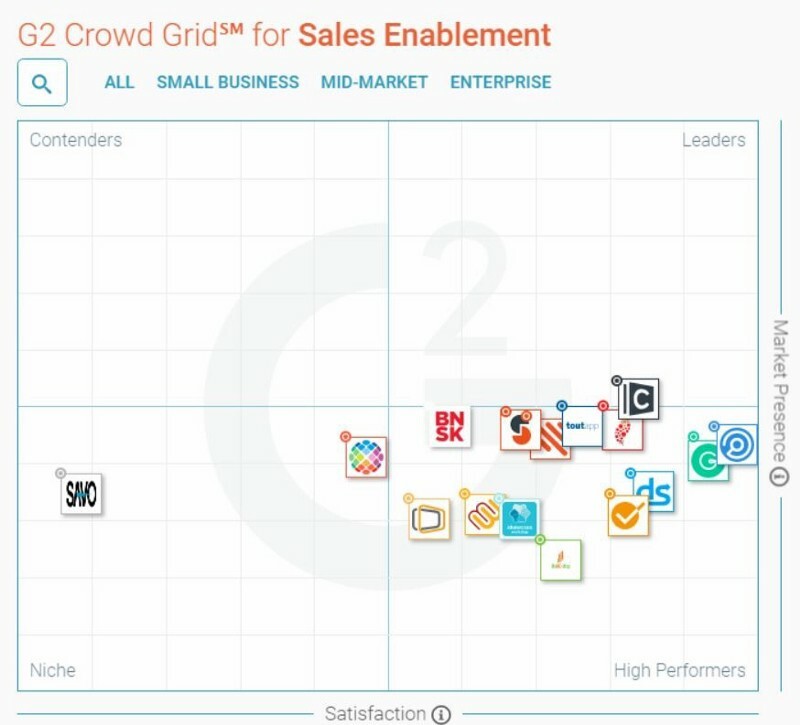 Almost every one of the customers I spoke with said Highspot is a core part of their go-to-market technology stack — right next to solutions such as Salesforce.com, Hubspot and Marketo. “We wanted to see 75% adoption after 30 days. We were at 80% and now focused on 90%. A “Why Now” market, cutting edge product and happy customers represents only part of how we evaluate a potential partner company. In the end, it was the experience and quality of the team at Highspot that drove our decision to invest in Highspot. Co-founders Robert Wahbe (CEO), Oliver Sharp (VP of Services) and David Wortendyke (VP of Product) each worked at Microsoft for over 15 years before Highspot and, more importantly, worked together as a team for more than a decade. With 50 employees based in Seattle, Highspot has a strong and positive culture. One of my favorite lines from a customer: “There is not a person at Highspot that I wouldn’t hire in a minute if I could”. Finally, of course, traction matters. We are super impressed by Highspot’s success in the market. They increased their customer count by 300% in the past 12 months and are seeing tremendous unit economics and retention rates for their customers. We look forward to lending our help to the Highspot team as they deliver the value of AI and machine learning to the sales enablement software market.